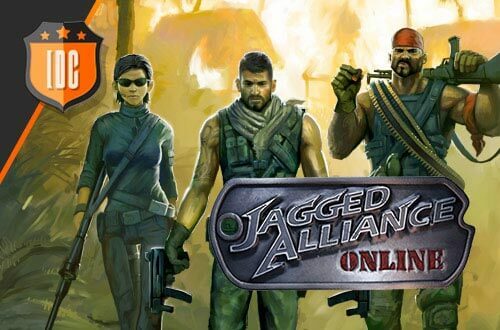 Jagged Alliance Online brings back the classical turn-based strategy game, now in English! Lead your team of mercenaries and make them the best and fiercest group. Sign challenging contracts around the globe and refine your skills in exciting PvP duels. With amazing graphics, Jagged Alliance presents the typical mechanics of this type of games and more than 80 hard quests now in English. Join the players community of the best browser game of 2012. For more information about the gameplay, check the game guides in the Support section and take a look at the videos and screenshots in the Media section. The key to have a good squadron is an effective strategy and of course lethal weaponry. You will be able to choose among more than 200 weapons like handguns, automatic rifles, shotguns, rifles, assault rifles, sniper rifles and machine guns. Create deadly alliances in this strategic online game with your friends to obtain power and glory. Jagged Alliance Online offers three frenetic game modes where you’ll have to deploy your artillery for this online pc game. The tactical map. You will lead your mercenary team to epic battles in real time. A management dimension, where you will create and design your own headquarters and you will fight for your life against other players online. Last, a social dimension, where many players from all over the world are waiting for you, ready to make alliances and trade equipment. To be successful in this strategic MMO, you will have to train your team consciously. You must arm your men to the teeth with the best weapons available in this game. Prepare your team by hiring the best characters of Jagged Alliance Online with different abilities to become the lord of the war.